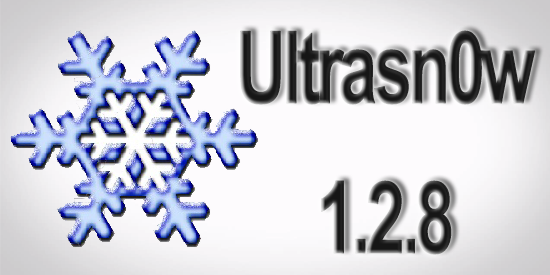 Ultrasn0w 1.2.8 is now available to unlock iOS 6.1 after the firmware was jailbroken with Evasi0n. However, you should know that this won’t be unlocking any new basebands, as it’s just an update which adds compatibility for the latest Apple iOS 6.1 firmware. Therefore, in simpler turns, the basebands of iPhone 4 and 3GS can be unlocked using ultrasn0w 1.2.8 on older iPhone basebands. It’s the official Ultrasn0w unlocking tool updated to support the newest iOS 6.1 firmware on your iPhone 3GS and iPhone 4S. If you are already unlocked your device using ultrasn0w fixer for iOS 6.1 / 6.0.1, you do not need to re-install the tool. Step one: Use evasi0n or Sn0wbreeze to jailbreak your iPhone on iOS 6.1. Step two: Run Cydia from your springboard. Step three: Tap on Manage icon at the bottom of the device and tap on sources. -Now tap on Add source and tap Return to Cydia. Step five: After adding the source repo, search for ultrasn0w and install it. Step six: Your jailbroken iPhone 4 / 3GS will start the unlocking process. Step seven: After operation is complete, you need to reboot your iPhone. Congratulations! Your iPhone 4 or 3GS is unlocked. Now you can use it on another carrier. Are these users out of luck? Not quite! There is a factory unlock solution that is compatible with all iOS firmware including iOS 6.1, iOS 6.1.1, IOS 6.1.2 and all basebands (new and old). There won’t even be a need to jailbreak the device. However, before proceeding, the carrier which the device is locked to should be found out. Next, you should find out the eligibility for the unlock. The last step is to submit the IMEI number, which can be found from Settings > General > About. Read our article if you need help to find your iPhone’s IMEI number. After all this has been done, you just have to follow the instructions you’ll receive in the mail from the company, and future updates of firmwares and basebands would be possible without having the need to use ultrasn0w 1.2.8 tool. There are many services available that claim they can unlock the handset. However, our recommendation is the most reliable, as well as the cheapest. They can unlock AT&T, O2, Sprint, Vodafone, Rogers and almost any famous carrier that the handset is locked to. To visit the official and legit iPhone 4, 4s, 3GS and iPhone 5 unlocking website click here.